Feelin’ Good Productions is proud to present for the first time in Europe Wanda King featuring Texas Slim! 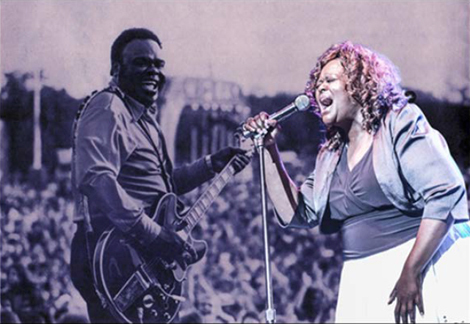 Wanda King, the daughter of the late great Freddie “The Texas Cannonball” King, brings her father’s talent and songs to life as she and Texas Slim celebrate his legacy during summer 2015 with “Tribute to my Father-Freddie King” Tour. Wanda inherited more than just father’s big grin, she inherited his ferocy, love and feeling for the blues. Add to the mix Robert ”Texas Slim” Sullivan who lays down top notch Texas blues guitar riffs that gets right to the heart and soul of Freddie King. Together Wanda and Texas Slim will heat up the summer with this must see show for any Blues enthusiast !! Wanda King, the daughter of the late blues Legend and master Freddie King, began singing at an early age. She learned from the best as the King home was always filled with music and musicians from the such as Howlin Wolf, Albert King, B.B. King, Magic Sam, Tyrone Davis and Johnnie Taylor, just to name a few. At fifteen she attended her first blues club show – her father’s gig and she was hooked. Freddie began calling Wanda up to do background vocals and lead a song when he performed locally. He realized she was serious about the business, so he began educating her on the do’s and don’ t and the who and what in the music business. Sadly her performing and dreams of a music career came to a halt when Freddie passed on December 28th, 1976. She turned her attentions to helping her mother who was devastated by Freddie’s untimely death raise her brothers and sisters. She went to college, got a job, but the need to perform gradually became too strong to resist. 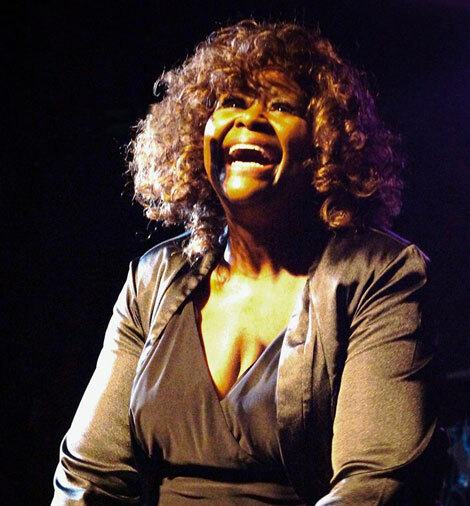 In 2002 Wanda contacted Robert “Texas Slim” Sullivan who had performed with her brother Fred Jr. and other local talents she had heard and asked them to be a part of her CD project. Her freshman CD Blues From a Point of View was born. She went on to record two more CDs with Robert “Texas Slim” Sullivan – Songs in the Key of Blues and Bridges. Fast forward to 2012. Wanda petitioned the Rock and Roll Hall of Fame to honor her father’s legacy by adding his name to the ballot of nominees. With a little help from Eric Clapton, Freddie’s name was added and he was voted in on the first round. The Gilmer-born guitarist, singer and songwriter entry in the Early Influence Category. His newly penned Hall bio lists the myriad reasons – for starters, “His 60s classics, Have You Ever Loved A Woman, Hide Away, You’ve Got To Love Her With A Feeling and The Stumble”, are part of the DNA of modern electric blues – and he’s the man who walked the guitar from T-Bone Walker to Stevie and Jimmie Vaughn. He brought the blues into the future. Just ask Eric Clapton !!! Wanda also honored her father by putting together the Freddie King Blues Festival around his birthday some of the performers who hopped on board were Edgar Winter, Johnny Winter, Bobby Blue Bland, Gary Clark Jr. to name a few and she is also the president of the Freddie King Blues Foundation. Wanda’s voice resonates with a ferocity that matches her stage presence. She was personally asked by Dan Aykroyd of The Blues Brothers Fame to open for them at the grand opening of The House of Blues in Dallas and Houston, Texas. She was also the house band at The House of Blues Dallas for two years. She has also shared stages with such greats as Etta James, David Sanborn, Johnny Winter, Edgar Winter, Kim Wilson, Hubert Sumlin, Bobby Blue Bland, Gary Clark Jr., Eric Johnson.